We are all drawn to tango for different reasons. But one of the main reasons many of us dance Tango is for the deep connection and joy that transpires. Last week, I had two private lessons. One with each of the world famous Bay Area Tango instructors, Homer and Cristina Ladas. This was my first private lesson with either of them, and my first private lesson in many years, so I was a little nervous and unsure of what to expect. 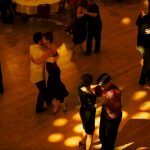 What I learned is that these two are not only very kind and generous people, but have a depth of knowledge in Argentine Tango and are able to communicate this knowledge in a clear and concise manner. I can definitely see why their popularity has grown all over the world. During my private lessons they both gave me exactly what I needed to improve. 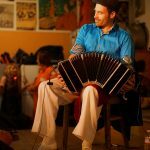 Having been dancing Tango for quite some time, I was aware that I had gotten into a comfort zone complete with bad habits and forgotten technique. They both gave me specific tips that helped to make my dancing better for myself and my partner. Even though all the information they gave me was important and useful, it was something Homer mentioned toward the end of our lesson that really resonated. 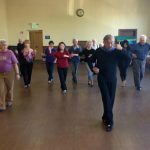 He said that once I began to relax, (I really was quite nervous at the beginning of our lesson) he noticed that I began to dance with more energy and spirit and that it made all the difference. One can learn technique and figures until the end of time, but if you don’t dance with your full spirit, if you don’t give yourself fully to the dance, you will only be moving your body and not really dancing. Don’t get me wrong, learning proper technique is very important, but there is a time and place for it. During a lesson, practicing at home or with your partner at the practicas, is when you should work on figures and technique. 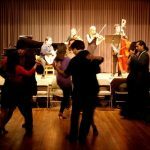 But when you get to the milonga, this is your opportunity to truly dance. 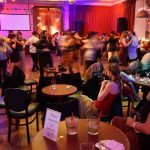 One of the beautiful things about Tango is that the milonga is the designated place for the enjoyment of the dance. Milongas are where you hug and kiss friends, meet new ones, have a drink, a bite to eat, socialize and of course dance. Let the practice time be for working on how to dance and let the milongas be where you let your creativity, energy, passion and emotions flow. When we are fully connected with the music and our partners, our body will naturally know what to do without our brains getting in the way. I used to think connection was only about the physical contact between two people; the embrace, our chests pressed together, our arms wrapped around each other and our heads lightly touching. And it is partially about that. But connection is much more than physical. It’s the emotional and spiritual connection that transpires during that tanda that makes the dance truly amazing. 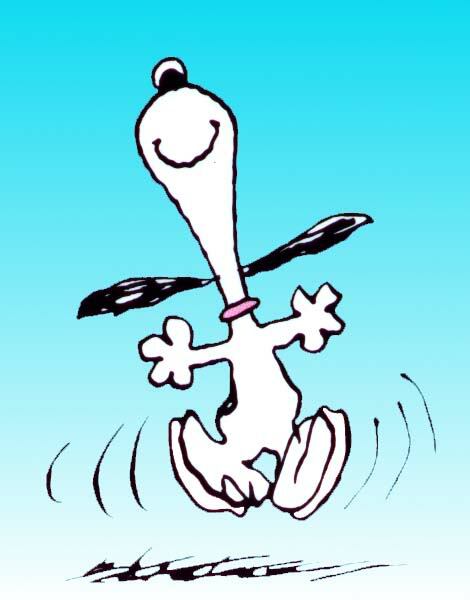 So, the next time you go out dancing, dance with your spirit, be fully present and find your JOY. Have you had a Tango revelation? Please share your revelations in the comments section below. Wonderful! I find that when I cancel out all the noise around me and truly focus on my partner with all my physical, emotional and spiritual strength, and also RELAX, it makes dancing so much better and more beautiful! 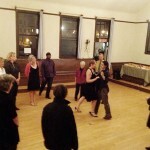 I enjoyed watching Homer and Christina dancing at the milonga at Nora’s Tango Week the previous weekend. Their connection to the music and the dance and each other shines thru so clearly, playfully, emotionally. I find myself these days adding to my connections. With my partner – ¡Por supuesto! And the music and dance as well, and also with the ronda — my other partners, and with my mood and energy level at that time, and that of my partner. 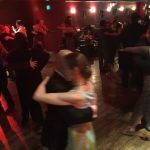 For me, after a lifetime of high-strung Type A personality, Argentine tango has been a blessing of learning patience and openness to all sorts of connections. Beautiful. Thank you for sharing this, David. Thank you! 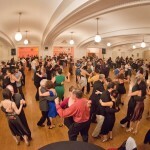 Milonga.me is a great site for Tango info around the world. 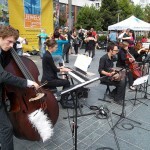 If I may add to the definition of the “Connection” in Tango. As the emotional kinship and mutual high (Tangasm?) developed in Tango dancing when both the Leader leading and the Follower performing the lead SATISFACTORILY — when both partners are Lovingly attuned, focused, and sensitive to each other’s footwork and body movement — in tune and as dictated or demanded by the music. These is archived, transmitted, and communicated through the chest and the right hand of the Leader to the back right side, midsection, spine, and or the left shoulder blade of the Follower — as required or dictated by the couple’s closeness or in between space. It is the Follower’s role to work on the connection by staying close, slightly offset, and squarely in front of her Leader at all times; and the Leader’s role to plan the routine and navigation in tune with the music. This is the unspoken contract between Tango Couple’s when they accept a dance invitation from each other.